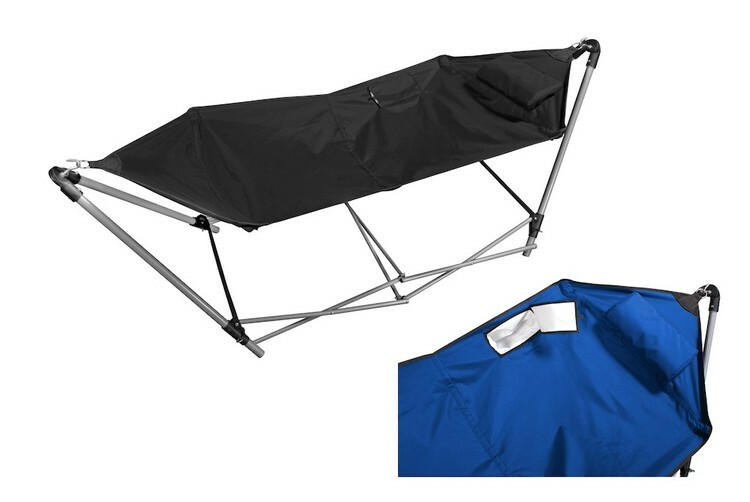 600 denier polyester Hammock with built in cooler, padded head rest. One piece pop up design silver frame. Comes with polyester case with shoulder carry strap.